WILLEMSTAD - Curacao is witnessing a crackling political showdown. Gerrit Schotte refuses to accept the elections of April 28 called by the Governor after the fall of the government of Prime Minister Hensley Koeiman. The convicted former Prime Minister and current leader of the MFK party tried everything to get him a benevolent government in the saddle. In a letter to Governor Lucille George-Wout, Schotte demands the formation of an interim government, a new government in anticipation of the appointment of a real government after the elections. “Any other solution which is not based on a parliamentary majority is unacceptable,” said the politician who ruled all the island between 2010 and 2012. In a controversial parliamentary meeting yesterday, the MFK leader and the other 10 MPs adopted seven motions to send the caretaker government home. Two ministers of the defected fraction of Pueblo Soberano are allowed to remain in the government. “This is an unprecedented attempt at any cost to take power,” said outgoing Prime Minister Hensley Koeiman during a hastily convened press conference last night. According to Koeiman the meeting is invalid and illegal because the speaker of parliament never called it. The governor would, therefore, according to Koeiman, reject the motions adopted last night by the new majority in Parliament. Nevertheless, Schotte put the governor in a tough corner. “Why should there be new elections as there is now a new majority to form a government?” The former Prime Minister himself will never be a minister. The judge sentenced him last year to three years in prison for taking bribes from casino boss Francesco Corallo. But as long as the appeal is still pending, Schotte can continue as a politician and a Member of Parliament. Last September MAN party leader Koeiman won with a small margin against Schotte's MFK in the elections. Koeiman amassed enough support for a coalition. But one by one the parliamentarians walked over to the camp of the opposition. After only seven weeks into its term, the cabinet lost its majority. The island is waiting meanwhile for drastic decisions. Thus, the future of the Isla refinery is in jeopardy. The Chinese company Guangdong Zehnrong wants to take over from the Venezuelan PDVSA in 2019. 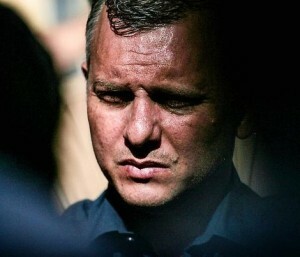 Schotte already indicated that he is against that agreement.